Rapper Kanye West has created an architecture wing for his popular Yeezy brand. But does the profession really need a celebrity to “make things as dope as possible”? Here Shaun Soanes examines the flurry of speculation, excitement and ridicule surrounding the announcement. 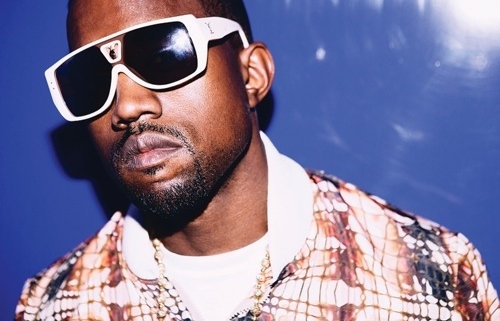 When Kanye West revealed that he was frustrated he was not taken seriously as a “real designer”, the last thing anyone expected him to do was expand his creative field beyond music and fashion. We couldn’t agree more. That’s exactly what we try to do. But like many professionals in our field – most of which have trained long and hard and boast a very specific set of skills – we are intrigued about how the rapper is going to add value. Renderings for a low-income housing scheme have surfaced in the US involving prefabricated concrete components that offer affordable living quarters. Photos of the social-housing project appeared on Instagram on Sunday giving rise to suggestions that it will be the initial project from Yeezy Home. The image was released by fashion designer Jalil Peraza, who previously worked on West’s DONDA label. It depicts a concrete building arranged around a courtyard, with an opening to the room in the background with a fire burning. Other photos show the large windows to the yard bringing plenty of natural light into the interiors. The white walls and exposed flooring and black window frames are similar to the stripped-back styling of West’s Yeezy fashion label. The prefabrication element means the team can construct the housing quickly and cheaply. It would be easy to sneer at the idea of prefabricated homes. After all, ‘prefab’ was once a byword for poor quality. But modern renditions are concerned with quality design, sustainability and longevity – and so Kanye West would actually be smack bang at the centre of a growing trend with this move. The prefab champion is the Huf Haus – characterised by remarkable glass and timber frames. Each one is pre-built in a factory in Hartenfels, west Germany, before being transported by lorry to its final destination. The main advantage of prefabrication is the cost savings achieved through the ability to progress work as a parallel operation in a factory and on a construction site. Additionally, factory worksmanship can produce consistent results, produces less waste and can be achieved whatever the weather. It would be a mistake to ignore the disadvantages of prefabrication however. These include transportation issues – road maximum widths, maximum load capacities, the need for police escorts and height restrictions under bridges. There are also additional costs to factor in including pre-assembly and dismantling for transport as well as highly-skilled workers to reconfigure the pieces with a high degree of accuracy. West’s interest in architecture – and indeed in the idea of prefabrication – should not be sneered at. He may not have completed a seven-year university course. He may not have worked from the ground up (quite literally) to earn his stripes in design. But he has an undeniable interest in architecture and more importantly, his name opens doors. His architecture announcement may be met with ridicule by some, but to dismiss his intentions out of hand runs the risk of ignoring an intriguing contribution to the world of design. His impassioned belief is that architecture can change the world. So perhaps his input will help us all to “dope” our design schemes that tiny bit more.